I've searched the threads and have not been able to find any information regarding the following questions for pressing information. I've decided to learn how to press. I'm still at the learning stage so I have not done anything with a book that has any value. It has been great and I have been able to see some of the magic that a press can do. 1) I am curious as to the why abook needs to sit in the press for 12+ hours. When I started I was following the instructions and leaving it in there that long. For the last few books I've left it in the press for about 3 hours or until I can touch the hotplate of the press and it is room temperature. Any information would be appreciated. Is there any difference between leaving it in for 3 hours or 12? I can't detect any, but again I'm just getting started. 2) When do you humidify a book? Is it for every pressing or just the ones that have deep issues and the increase in humidity will help. For the few I have done, it has been the latter. I created the humidity chamber from the captain myke video above and it worked gangbusters...it just takes a lot of time. Do you dry press the book and see if it gets the flaws out first or do you start w/ the humidity? 3) In the lexicon of pressing is the "quick press" simply doing it without humidity and a "full press" doing it with. The time difference is substantial. 4) I have some books that were water damaged. The press took out the waviness from the cover but the pages are still not supple. Is that a good candidate for additional humidity in the chamber? Any info is appreciated. I'm really enjoying this aspect of the hobby. I’m grading and slabbing my own books now. These are my 9.8’s. ...well, now that I’m grading my own, all my comics are 9.8. Don't listen to KaptainMyke about pressing...seriously. Don't listen to KaptainMyke about pressing anything...seriously. Genuine question - whats the reason for the antipathy? Just what the world needs, another DIY presser. First off, there have been so many (too many) threads on this exact topic that I find it hard to believe you could not find anything. Many, including myself, frown upon these kind of threads. Pros that have spent many years fine tuning their skills generally do not wish to share. While I don't really care that you want to press your own books, eventually these books find their way into the marketplace. As a collector I am discouraged by the volume of bad pressings I see in the marketplace. The hobby doesn't need more pressers. However, if this is what you want to be when you grow up, then good luck. BTW, for better or worse, these threads usually end badly. Yes. While there is some information in that video, there is much that is wrong, and will result in either damage to the book, or flaws coming back over time. I press my own books..screw me I guess. 9.8? That corner is toast. Yeah, I think most Boardies have been saying that since 2002. No, just you. I'm ok with that. I see you're on your trolling account again. c'mon now, you KNOW for a fact that's not true. Either way, I couldn't careless, it's not like I hang out with anyone from the boards or ever plan to. 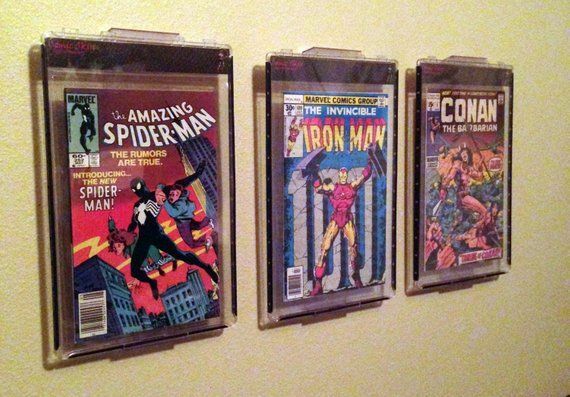 Surprisingly, you can accomplish a lot of DYI projects from YouTube videos, but comic book pressing is not one of those. Anyone willing to share their process is either not doing it right, or not sharing all the information needed to do it correctly. Part time effort won't cut it in many cases, you need to be in it as a career if you seriously want to pursue pressing, and that pie is continually shrinking, so good luck if you decide to do so. As others have mentioned, doing it for fun would be okay, except these books end up in the market at some point. Not to mention you won't have many comic friends if they know you are ruining good books, by pressing or any other action. I certainly applaud your desire to learn something new and have fun doing it. However, since learning how to properly press comic books appears to be a rather painstaking process with little margin for error, I would suggest using books that are essentially worthless until you feel completely confident in your ability. Good luck and happy holidays! I now am embarrassed that this was not my first response to this. Hear, hear!